Feb 4 (AZINS) Newly-appointed CBI chief Rishi Kumar Shukla took charge of the agency Monday, when it finds itself locked in a dirty turf war with the Kolkata Police that spiralled into a political slugfest between the Centre and the West Bengal government. 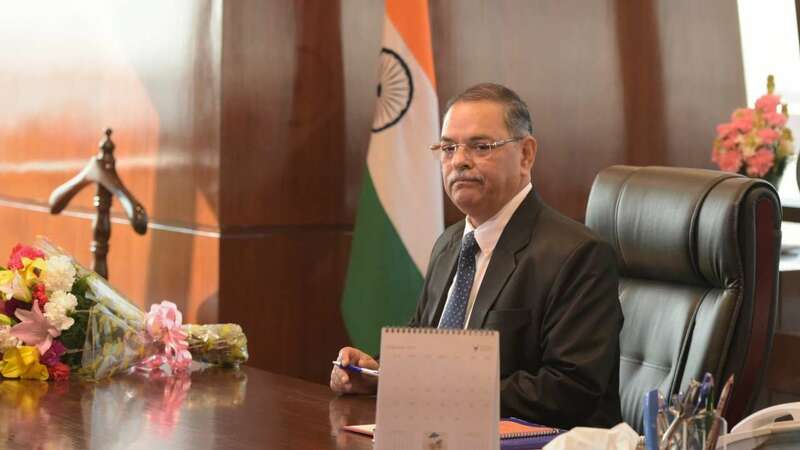 Normally, a new incumbent gets a week's time to take charge, but Shukla, who was appointed on Saturday, took the reins of the agency within two days in the backdrop of the agency's tussle with the Kolkata Police which broke out on Sunday, officials said. The appointment of the 58-year old Shukla, a 1983-batch IPS from the Madhya Pradesh cadre, as full-fledged director is likely to bring some sort of order within the CBI which has moved the Supreme Court alleging destruction of evidence by Kolkata Police Commissioner Rajeev Kumar in ponzi scam cases, they said.Kumar headed the special investigation team probing these cases, the officials said. The agency did not get any immediate relief from the Supreme Court in the matter. The Supreme Court, however, agreed to give an urgent hearing on Tuesday to applications moved by the CBI alleging destruction of electronicevidence related to the Saradha chit fund scam case by the Kolkata Police commissioner.The applications accusing Kumar of destroying evidence related to the case and him of indulging in contempt of court was mentioned by Solicitor General (SG) Tushar Mehta before a bench comprising Chief Justice of India Ranjan Gogoi and Justice Sanjeev Khanna.Taking note of his submissions the bench said, "If at all the evidence is destroyed, it is in electronic form and can be retrieved." It said even if the police commissioner is remotely trying to destroy evidence, "we will come down so heavily on him that he will regret". Former Madhya Pradesh Director General of Police Shukla, who took charge of the agency as its 28th director from interim CBI chief M Nageswara Rao at the 11th-floor office in the imposing steel and glass CBI headquarters on Lodhi Road, did not offer any immediate comments on the issue.The CBI team which had reached Kumar's residence Sunday evening to apparently question him in connection with Saradha and Rose Valley scam cases was caught off guard when they were blocked by police personnel guarding the residence of their chief, the officials said. As the CBI team landed at the gates, a team of Kolkata Police officers rushed to the spot to speak to the CBI officials and tried to enquire if they had the documents required for questioning the Commissioner.Later on, a small team of CBI officials was taken to Shakespeare Sarani police station for further discussions.Thereafter, more men arrived at the spot and a commotion ensued. Some CBI officers were then forcibly bundled into police jeeps and taken to the police station. According to the CBI, Kumar, a 1989-batch IPS officer of the West Bengal cadre who led a Special Investigation Team of West Bengal Police probing the scams, needs to be questioned regarding missing documents and files but he has not responded to notices to appear before the agency.Meanwhile, Chief Minister Mamata Banerjee had started a dharna outside the residence of Kumar protesting against the alleged highhandedness of the Centre and "insults" meted out to her by Prime Minister Narendra Modi and BJP chief Amit Shah. The investigations in these cases have been expedited in run-up to the general elections with the agency recently questioning a close aide of Banerjee at his residence.